Camp this year was again excellent value. A lot was done great time was had by all who attended. 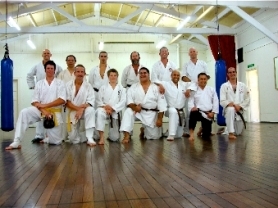 We were fortunate to have the local Karate School visit and train with us on the Satuday. 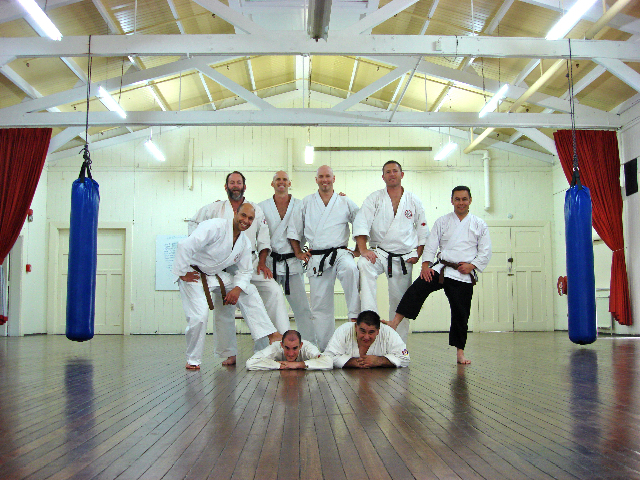 We practiced self defence and sparred with their instructors and students. Colin Berry and Tim Murray graded to shodan at the camp. We all look forward to camp next year to be held 19th - 21st March 2010, please try and get to it. Great training and great fellowship are always on the cards when you attend these camps, so don't miss out, plan now.